I hereby give permission to Dance Tech Studios to charge a $50 non-refundable deposit to the credit card above, per Summer Camp weekly session selected. I understand that the remaining camp balance will be charged to the card provided on June 1st. I understand that the remaining camp balance will be charged to the card provided on June 1st. By selecting this box, I acknowledge that I have read, understand, and will adhere to all of Dance Tech's Policies and Procedures as defined. 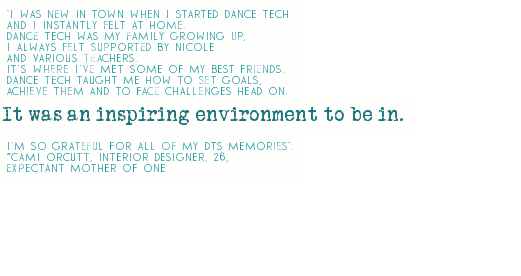 I hereby give my permission for the above student(s) to participate in Dance Tech Studios, Inc. activities both within the studio and outside. I also agree that Dance Tech Studios, Inc., Langley LLC, Nicole Fielding, or other associates are not liable for any injury, damage, or loss that may occur. I give my permission for any medical treatment to be administered to the above student(s) in an emergency. By typing my full name in the box, I do authorize Dance Tech Studios to reserve a place in their Summer Camp(s) for the student noted in this application. I understand that I will be charged a non-refundable $50 deposit per dancer, per Summer Camp, to hold his/her spot.